My veg boxes are starting to look a bit more interesting again, so it’s with renewed enthusiasm that I pull back the tape sealing the box each week. 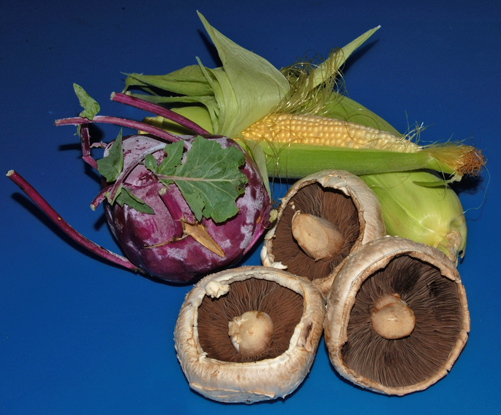 This week there were the obligatory cabbage, carrots, onions and potatoes, plus a beautiful cauliflower and three newcomers: two cobs of sweetcorn, three massive mushrooms and something purple! To figure out what the ‘something purple’ was I got on to Google images and searched for ‘purple vegetable’ as I had no other clues. Pretty soon I found a match in ‘kohl rabi’. I’ve heard the name before, but I don’t recall the face – and I certainly have no idea of the taste. I look forward to learning more. I chose to eat the mushrooms straight away and decided that really the best thing to do with giant vegetables is to get them stuffed. So I brushed the mushrooms inside and out with olive oil and pre-baked them for 10 minutes at 170 degrees. The stuffing consisted of anything I could find, but included rice, gruyère cheese, sunflower seeds and various finely-diced vegetables, which I cooked as necessary. I spooned the resulting mixture into each mushroom and topped them with a layer of cheese. 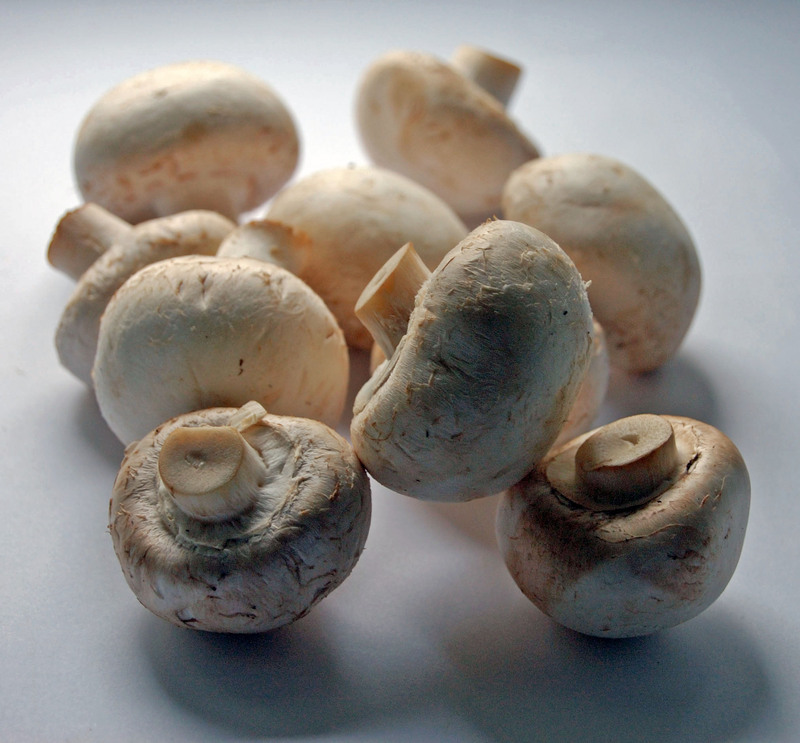 The mushrooms then went back into the oven, this time covered with foil, and were baked for a further 15–20 minutes. They tasted OK, but not as nice as my stuffed peppers – mmmmmm. If I do these again, I will look around for some tastier stuffing recipes. Now I’m off to find out more about kohl rabi, see you soon . . .